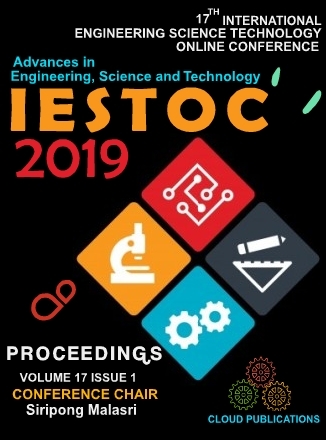 "ADVANCES IN ENGINEERING, SCIENCE AND TECHNOLOGY"
IESTOC.ORG is a scholarly refereed engineering science technology online open access conference website. It provides a rich online conference. Each presentation consists of a paper and an optional PowerPoint presentation. Access is available 24-7. Cloud Publications covers a wide spectrum of areas including 100+ International open access online journals publications, open theses as well as open dissertations publications and 30+ e-learning training programs. The publications of journals cover science, technology, engineering, medical, and art, humanity and management subjects and publish research/review papers, case studies, research reports, theses abstracts, monographs, conference proceedings and research videos under the name Cloud Journals.